Little, Brown and Company, 9780316328685, 432pp. 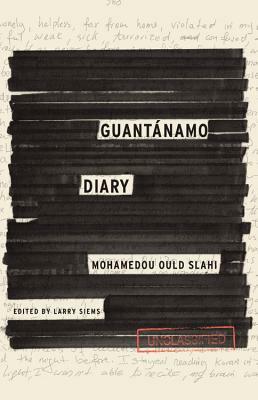 Three years into his captivity Slahi began a diary, recounting his life before he disappeared into U.S. custody and daily life as a detainee. His diary is not merely a vivid record of a miscarriage of justice, but a deeply personal memoir---terrifying, darkly humorous, and surprisingly gracious. Published now for the first time, GUANTÁNAMO DIARY is a document of immense historical importance. Mohamedou Slahi was born in a small town in Mauritania in 1970. He won a scholarship to attend college in Germany and worked there for several years as an engineer. He returned to Mauritania in 2000. The following year, at the behest of the United States, he was detained by Mauritanian authorities and rendered to a prison in Jordan; later he was rendered again, first to Bagram Air Force Base in Afghanistan, and finally, on August 5, 2002, to the U.S. prison at Guantánamo Bay, Cuba, where he was subjected to severe torture. He was cleared and released on October 16th of 2016 and repatriated to his native country of Mauritania. No charges were filed against him during or after this ordeal. Larry Siems is a writer and human rights activist and for many years directed the Freedom to Write program at PEN American Center. He is the author, most recently, of The Torture Report: What the Documents Say About America's Post-9/11 Torture Program. He lives in New York.